New and dramatic changes occur every year in the digital marketing world. As new technologies quickly develop, so do the new digital marketing trends. Keeping up to date is a must to stay relevant in the fast changing world of digital marketing. The new tactics replace the older ones, and the process continues. Of course, the goal is always the same: To find the latest and most relevant ways to connect with your target audience. Although it can be difficult to consistently adapt to new changes, it’s important for any marketing team to accept the latest trends and find the ways that it can work for your business. So, without further ado, let’s take a look at some of the latest technological happenings and digital marketing trends for 2019. Talking is much easier than typing! 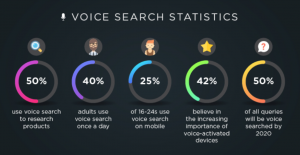 With improvement in voice recognition technology, voice search is becoming more popular in day-to-day use. Using Voice is a much easier way to search when on the go, and technology has also vastly improved to be able to answer these voice searches correctly. According to Comscore, 50% of all searches will be voice-based by 2020. So how does this affect companies in terms of marketing? By using voice-enabled devices, top brands can deliver their messages to more audiences. At the same time, voice engine optimization is a must for many businesses. 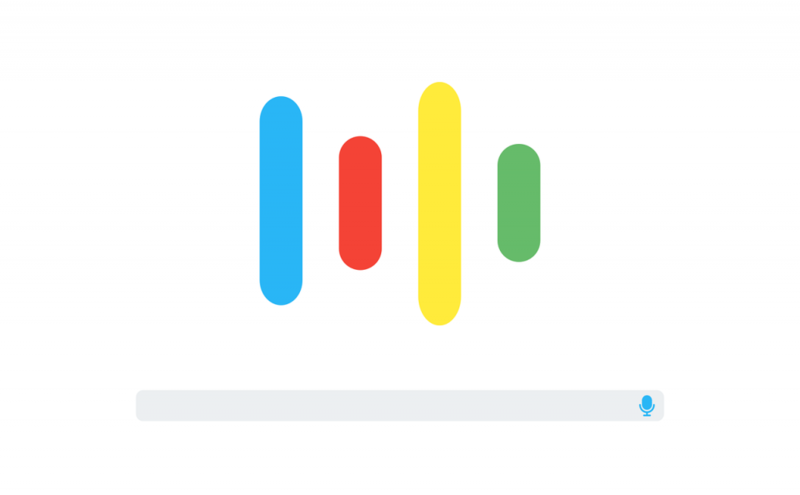 This means thinking about how to reach your audiences with simple and natural content: More than 20% of voice search queries are triggered by a combination of only 25 keywords! 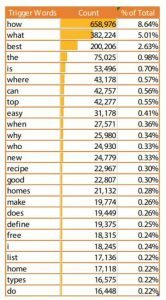 Voice searches also seem to be much more specific, and in need of a single answer as compared to text searches. The use of Chatbots is definitely on the rise, and will play an important role in new digital marketing premises. 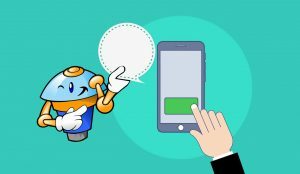 Chatbots are helpful and efficient way to communicate with website visitors and potential customers. What’s more, whether it’s day or night, chatbots are always ready to reply! About 1.4 billion people are taking advantage of the benefits of chatbots. This is especially noticeable in the healthcare and banking industries. According to marketing statistics, more than 80% of businesses are planning to integrate chatbots into their marketing plan by 2020. Research says that chatbots can save businesses over $8 billion each year! Chatbots offer great customer service, and can even help to keep them up to date with the latest happenings in your business. Videos are fast becoming a must have in the digital marketing arena! YouTube alone has over 1.9 billion active logged in users each month, and about half of all viewers below 32 would prefer youTube to a pay-TV service. When it comes to making purchases, About 52% of consumers say that they watch product videos first and then make the decision to buy. Based on this information alone, it’s easy to see that videos are a very powerful form of communication. Therefore, good quality videos are an important way to connect with your audience. 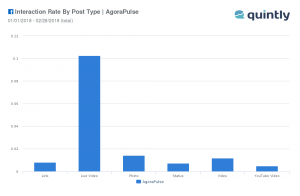 Another thing that is quickly on the rise in the world of videos is Live videos, such as Facebook Live, YouTube Live, and more. In fact, 80% would rather watch live video from a brand than read a blog, and 82% prefer live video from a brand to social posts. Influencer marketing has always been an efficient way to attract new customers. Influencers may be celebrities, well-known bloggers, journalists, instagram celebrities or YouTube stars. the main key is finding the right influencers for your niche that can help promote your business. For example, if you are mainly targeting your local market, you should find a local influencer that has a strong reputation in your particular industry, and of course, a following that is likely to be your target market. Promoting your brand globally would need a different scale of influencer that can help you to connect with the right audience. Do you know how many hours people spend on their smartphones every day? According to surveys, smartphone users in Indonesia are one of the highest in Southeast Asia, spending over 6 hours using their phone each day. Singaporeans however, take the lead, spend most of their waking hours connected to gadgets at an average of 12 hours and 42 minutes each day. Connection to gadgets is changing the way people think. Suppose, you are about to go for a meal. How do you decide what to eat or which restaurant to go to? Micro-moments are when people reflexively turn to their devices before making a small decision. These are very high intent moments that most often lead directly to purchase, providing critical opportunities for brands. These are just a few of the fast-growing trends in Digital marketing. These are likely to continue to grow and become more and more important to brands in the years go come. Happy marketing!